Meet your Yoga Pod Austin leadership team! Jennifer grew up in Houston and graduated from TCU. After moving to Austin in 1989, she worked for many years in the fields of government and public policy in the public and private sectors. Now, with an empty nest looming, she decided to make the next chapter of her life adventurous and productive by opening a business of her own that can benefit those around her while at the same time doing something she loves -Yoga! Jennifer first discovered Yoga Pod in Boulder, CO while visiting her son in college. After taking some classes there and meeting the owners and staff, she fell in love with the teachers, energy and culture at Yoga Pod and knew immediately that she wanted to bring the franchise to her beloved Austin. Two years later her dream has come true and she cannot wait to welcome each and every one of you to the beautiful 3-room studio in Northwest Austin! 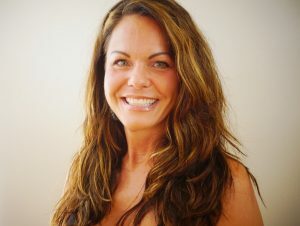 Kristi is a Yoga Alliance registered teacher with 13 years teaching experience in a variety of styles. Yoga has been an integral part of her life after overcoming immense health challenges. Yoga taught her how to stay centered and positive while improving her strength and flexibility. 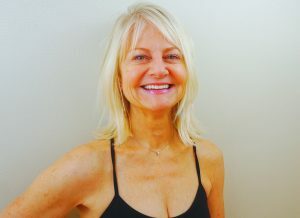 She loves guiding her students through their yoga journey and encourage them to connect inward to project their best outward. Kristi is a self-proclaimed “Texaradoan”, having grown up in Texas but spent almost half of her adulthood living in Colorado. Kristi was a core instructor at the Yoga Pod College Station since their opening in 2014, and she is thrilled to return to her birthplace and roots in ATX as the Lead Instructor at Yoga Pod Austin!